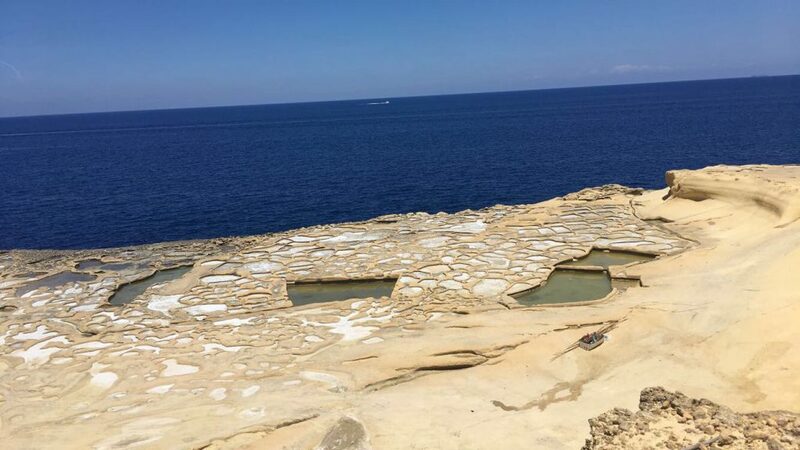 I recently completed a 5 night, 6 day trip to Malta – wait, where? 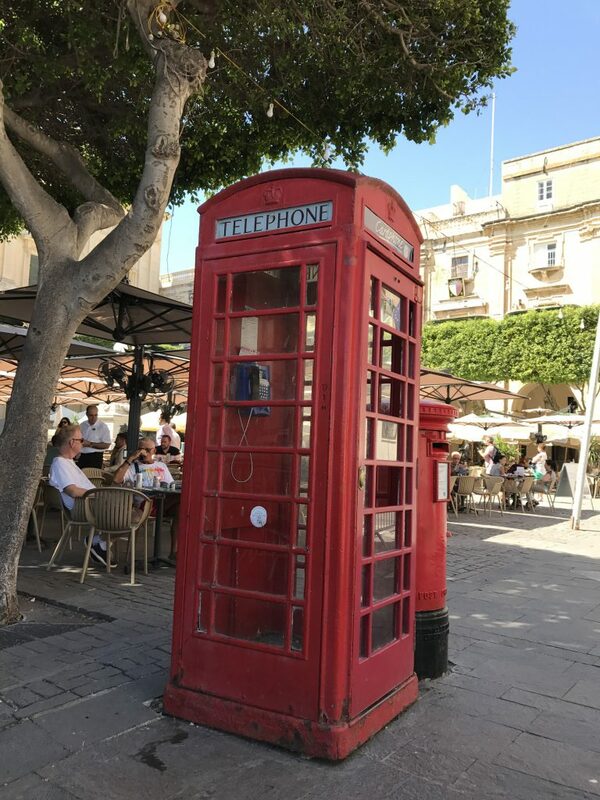 When I told friends and family I was traveling to Malta, half were confused as to where it is; the other half were confused – why would anyone go to Malta? 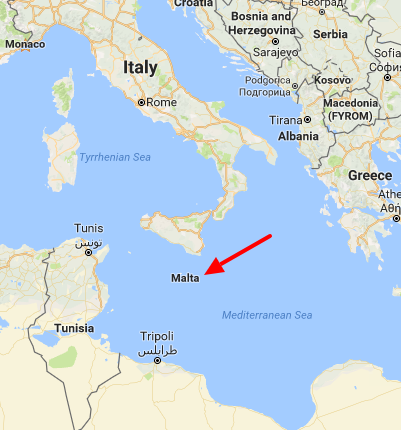 Location: Where the heck is Malta? Malta is located south of Sicily (and Italy) and north of North African countries like Tunisia and Libya. It is, however, located in the European Union and transact in Euros and is visa-free for Americans. 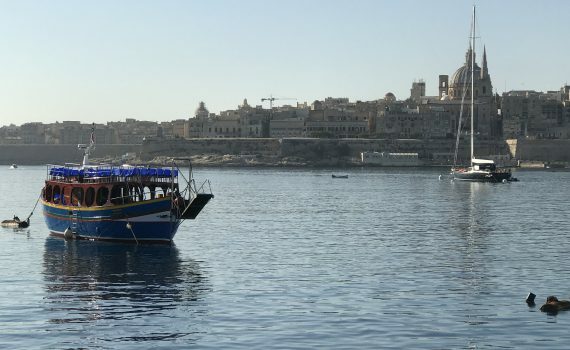 Many people visit Malta while passing through cruises of the Mediterranean or as day trips from the southern coast of Italy and Sicily. Malta’s unique location has given it a rich ancient and modern history that leaves plenty to explore. 2. Malta gets 300 days of sun a year. For our 6 full days there, no clouds to be seen. The coolest months are January and February where temperatures average a cool 55 degrees, with the warmest months being May – September where the average hovers at around 75 degrees. 3. One island not enough? There’s three. Malta consists of three main and popular islands: Malta, Comino, and Gozo. Each has it’s own vibe and unique sites. Getting between the islands is fairly easy and with affordable and numerous options of ferry services which can you take you between the islands. 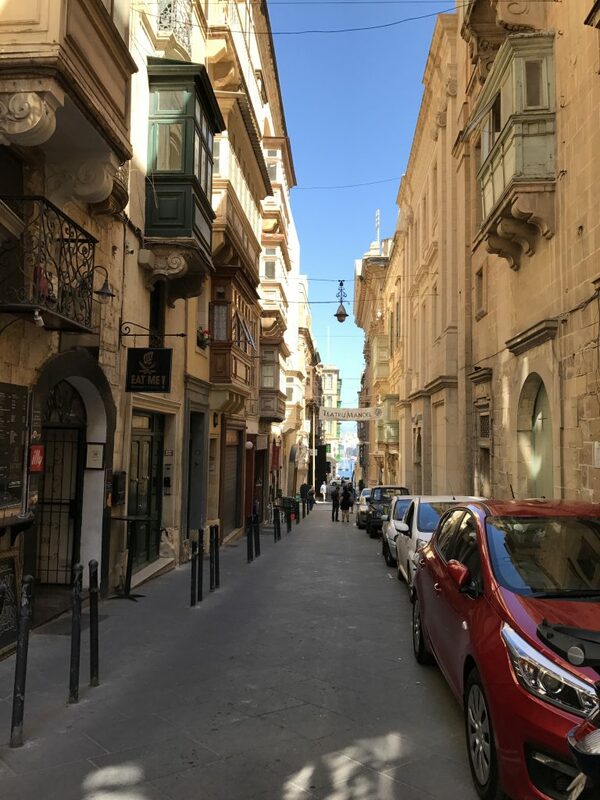 While people still work and live in Valetta, the real charm is putting down your guide book and wandering the narrow and ancient streets. Pop into the local boutique shops and unique museums like the Postal Museum. You could spend a few hours or a whole day there and you probably wouldn’t see it all. Be sure to take the a ferry from Sliema or the Three Cities to see what it would be like attacking Valletta from the outside. 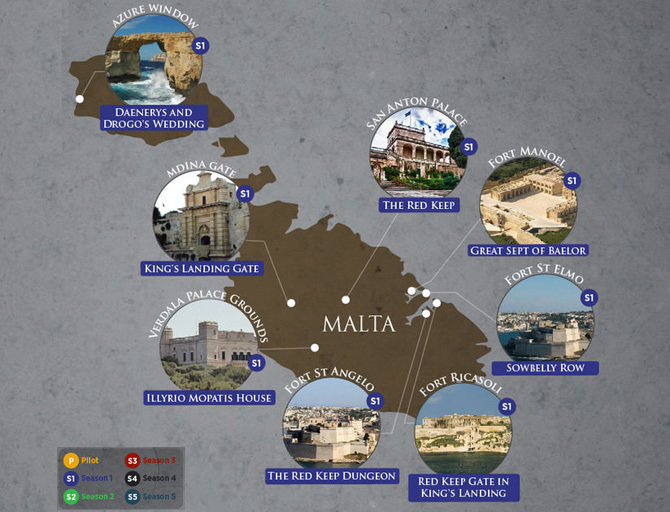 The Malta Experience and tour of Fort St. Elmo are highly recommended. 5. The Blue Lagoon is One of the Most Instagrammed places in the world. Who doesn’t care about Instagram? In truth, there are some phenomenal photo opportunities to be had, and the water must be seen to be believed. 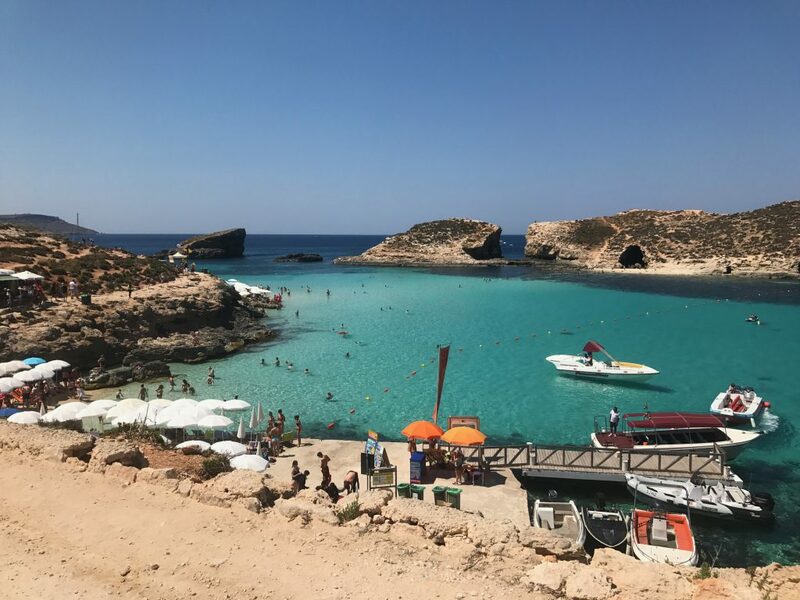 The Blue Lagoon, Comino, Malta. The Blue Lagoon has updated facilities including lockers, a place to change and food service stands. It definitely gets warm, so bring the sunscreen! Intrepid swimmers can swim across the lagoon – its cordoned off – and only reaches about 6.5 ft. While winter isn’t coming in Malta, the first season of Game of Thrones was filmed in Malta. You can do various tours centered around that season, or you can go to the sites yourself and see where Khal Drogo and Khaleesi get married; or where Ned and Cat Stark say their farewells. 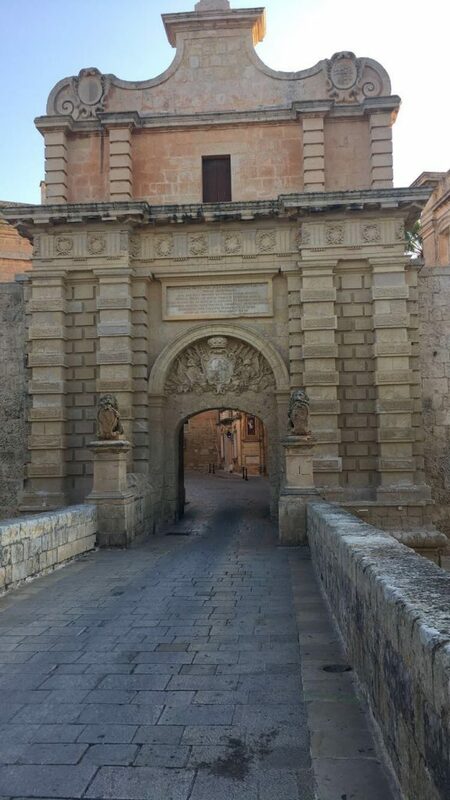 Mdina Gate, Mdina. Where Cat and Ned Stark say goodbye. Here’s a map showing the filming locations of Game of Thrones. 7. There’s another Azure Window. 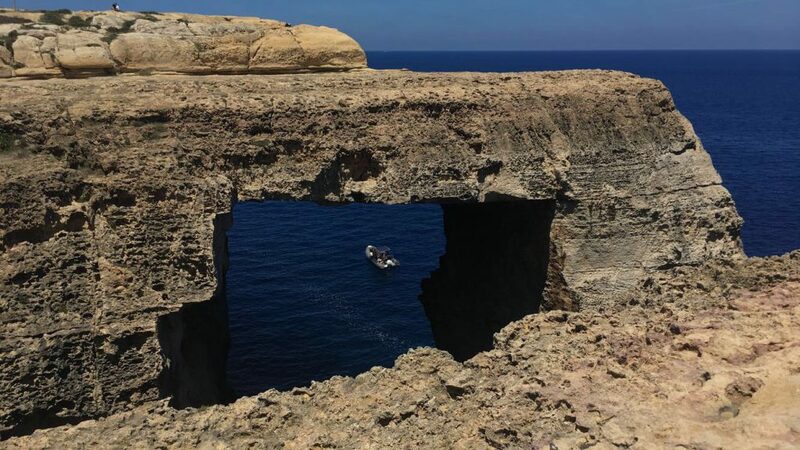 One of Malta’s most famous sites, a natural sea arch known as the Azure Window collapsed due to a storm this past March. While a visit to the plains is still worthwhile, there is a newer window, Wied Il-Mielah. The best part is that tour buses can’t get here, so it’s less popular and overcrowded than the previous Azure Window. There’s a path you can take down to get a better view, but it can be closed off to tourists depending on the time of year. Malta and its sister islands have a great combination of beaches and culture. 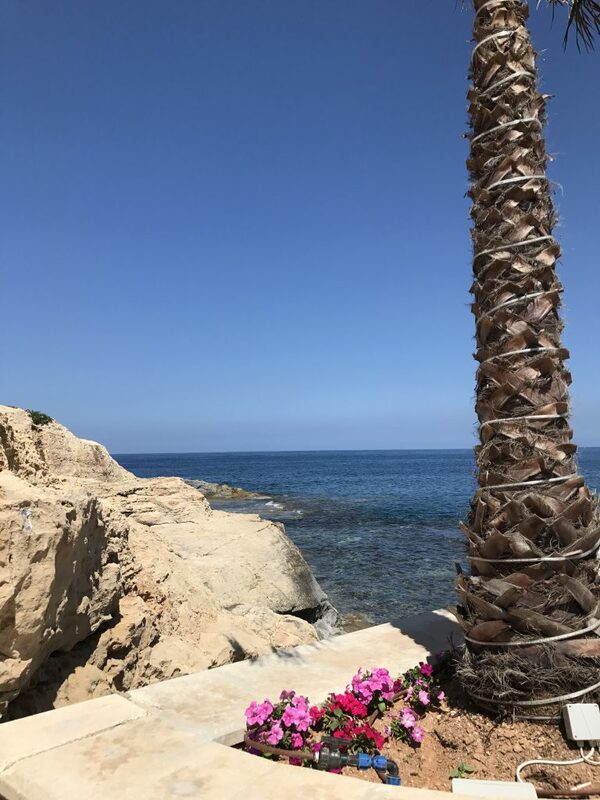 Malta’s unique location has given it some fascinating places for sightseeing, and it’s location on the Mediterranean has given it golden sand beaches. As you can see from the numerous pictures, we’re more into the beaches than cultural aspects, but to each their own! While this may not be relevant to all, Malta is Zika free. For those who are avoiding travel to South America and the Caribbean, this is a huge plus. So, are you planning your trip to Malta? All pictures are copyright the author.